This morning we woke up, and checked the weather. We know we need a window to get across the gulf stream, it’s about a 2 days sail to get up and across to Cape Canaveral or further north. Well, this mornings weather forecast shows a good window tomorrow and then it closes and blows out of the north and west for a week. So, it means we need to leave tomorrow. Which means today needs to count! We had a full tank of gas in the dingy and knew we wanted to stop off at the south cut to see the plane wreck. We also checked the charts and it looked like there was a nice cut along the north end of the island we could get through as well—about a 10 mile round trip. 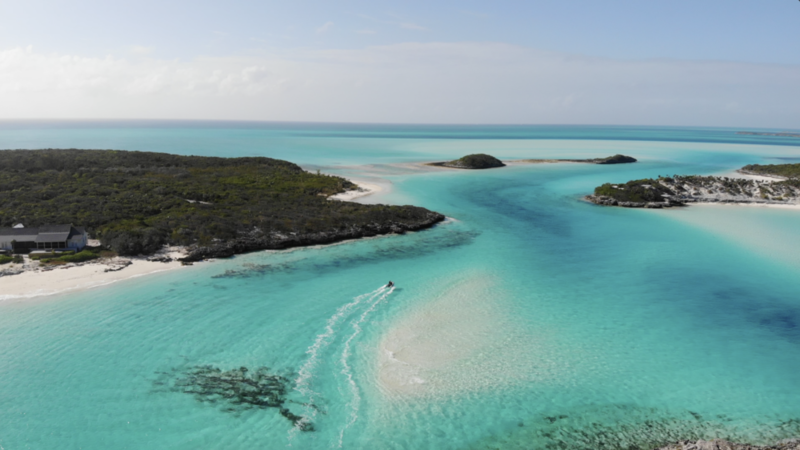 So, we packed up some water and snacks, all our cameras and batteries and headed off to circumnavigate Normans Cay. The weather in the morning wasn’t the best, a little overcast and rainy and blowing about 15-20 out of the east. Our first stop was the infamous plane wreck from a failed drug run. It’s a popular spot, but since the weather wasn’t ideal, we had the place to ourselves for at least a little while. The tourist started to flock in along with the sunshine, so off we went, north, through a tidal maze of sand and rocks. It was really beautiful. 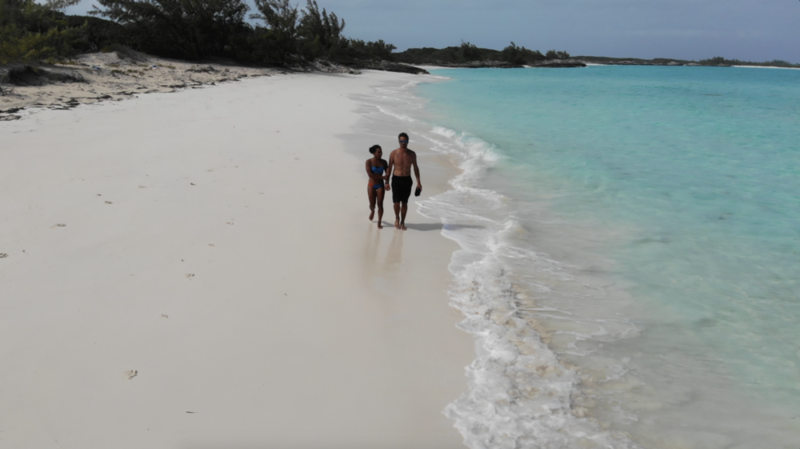 We stopped off at a secluded beach and just enjoyed these last moments in the Bahamas. Our time here has felt like an eternity and and instant all at once. We’re ready to move on and see other cultures and climates, but will certainly be back one day. It’s a magical sailors paradise and our brief few weeks here was all hitting us at once. Before the sun got too low we headed out onto the ocean side to get up to the north tip of the island. The waves were larger, but on the beam, and Coco handled them like a champ! We LOVE her and all the adventures she’s taken us on, and all more to come. The north cut was absolutely magnificent. We launched the drone and followed our course through some of the most pristine water yet. One more stop at the beach to let the sun get a little lower and absorb as much of the beauty as we could. But, with the tide getting lower by the minute, we didn’t want to be stranded on the wrong side of the island, so we headed back to Uma. The ride back was quick, the water was flat and we went full throttle all the way home. I’m sure we reached 20+ kts at some point—we were FLYING! In the afternoon, we heading to the beach to snag a timelapse of the sunset while we at our last meal in the Bahamas. There is a little beach bar here and we enjoyed some Surf and Turf and a few Kalik’s. Tomorrow morning, we set sail for Norfolk.